Are you a business owner thinking about retiring or changing your career? Or maybe you’re at the other end of the spectrum, thinking about buying a small or medium-sized business. I was recently interviewed on the subject of buying and selling a business by Norman Jack for CFRA Radio’s Experts on Call program. The interview is divided into four segments that you can listen to or choose to read the transcript (below in this article), according to your preference. Why this is an exciting time for business owners who want to sell and retire or move on to other things in life AND for buyers. If you're a business owner out there, you've got a small or medium-sized business, you’ve spent your working life building it up, maybe it's time now to start thinking about retirement or moving into something else perhaps. How are you going to sell that business and maximise the return you're going to get on it. Or maybe you’re in the market for a small or medium-sized business. Maybe you have decided to take the leap. Or maybe add to acquisitions that you've already made in the business world. For the next hour or so, the gentleman who can answer all your questions on that is here in the studio. From Sunbelt Business Brokers, welcome back, Greg Kells. GREG: Well, it’s good to be here, Norm. It’s an exciting time to be here. NORM: It is an exciting time —this probably has to be the best time in just about forever to sell a business in Canada. GREG: I’ve been doing this 15 years and I have never seen a better market for business owners who want to retire. We’ve got a combination of very low interest rates. When a buyer buys a business, it typically has to do three things: it has to have enough cash flow that they can live comfortably, enough cash flow to do the debt servicing and provide a good return on their invested capital. Well given that the debt-servicing component has been reduced with low interest rates, people are getting more for their business than they were getting a few years ago. GREG: With a low dollar our businesses look really attractive to international investors particularly those in the U.S.
We sell a lot of businesses in the three to $20 million price range. That's a bargain—they're looking at buying for some 70 cents on the dollar and it's going to turn around. Oil prices will not stay this low long term, so those private equity groups and larger American companies are looking enviably at the Canadian market thinking they can pick up some real bargains in Canada that become great long term add-ons to their existing operations. NORM: And for business owners these days too there have been changes in capital gains and maybe some more coming up as well. GREG: As you know, we have a lifetime capital gains exemption. Typically a business could be owned by a family trust or by multiple members of a family or by a single owner operator. The exemption has been increasing— it was actually pegged to inflation starting about $800,000 in 2014 and the government has announced that they're going to up it to a million. That means that a family of five could actually make five million dollars on the sale of their business and pay zero tax. It's the only vehicle I know of in Canada that you can legally make a lot of money and not pay any tax on it. NORM: Not a dime in taxes. Everybody loves that. You've got offices here in Ottawa, in this part of the country you've got offices here in Ottawa and across the river in Gatineau and one in Kingston as well, but you're spread right across the country. GREG: We have more than 30 offices across Canada and we have eight in Brazil. We are part of a larger network of about 250 other offices operating internationally, a primary focus in the U.S., but I think we're in 32 countries now. NORM: When you go to Sunbelt Business Brokers, what is it that you do for… let's start with the seller first of all, because this is as you say the market to sell. What is it that Sunbelt offers the person who has got a business they want to sell. We give them a detailed report letting them know what is the most probable selling price. Based on that we will then sit down and discuss the value drivers—how do they make their business worth more. Is this the time to sell? It may or may not be depending on the condition of all those value drivers. Sometimes we'll show them how, by working on the business for the next six months or so, they can substantially increase value; other times, it's ready to go to market now, in which case we will put together all of the marketing packages, take the business to market , find a wide spectrum of buyers. We market across Canada, throughout the world; all of our offices become sellers of a local business. The result is we've got a huge pool of buyers— way more buyers than we ever have sellers. We work with each of those buyers at length to make sure that they have the resources, the skills, the aptitude and that the lifestyle is going to suit them so that when we introduce a buyer to a business, they've signed a confidentiality agreement and they’re a suitable buyer, and we're not wasting people's time. Based on matching, and that's really one of the key functions, we'll put the right buyer together with the right business, help them understand how to get the financing together and work with the financing sources, the lawyers together with the lawyers, the accountants with the accountants that they need. We know most of the lawyers and the accountants in town. We refer people who are good at doing this type of transaction and that are affordable based on the size of the transaction. NORM: Let's talk a bit about this right after the break but I want to mention the fact that you have two books free to those who visit the Sunbelt website—it’s sunbeltcanada.com—aimed at people who are selling their business and the other aimed at those who may want to buy a business, as well as great resource for people to sit down and go through. GREG: An educated buyer or seller will make good decisions and I want them to be well informed, so we went to great lengths to provide huge resources on our website; it's really a worthwhile place for them to go. NORM: Check out the website and if you have any questions at all, maybe you’re a small business owner and you're looking to sell your business or perhaps you're in the market to purchase a business and go into business for yourself, this is the time to call to talk to GREG Kells. What is it the Sunbelt brings to the table when you sit down with the business owner who has decided they want to sell? GREG: The first thing is an understanding of what buyers are looking for. When people think about the value of a business the focus tends to be on the numbers, but the numbers don't tell the story. Very often the systems approach— the documentation, market positioning, the loyalty of staff, training programs, recruiting programs, all of the things that enable a business to be successful are far more important than simply the numbers. When we're doing valuations we look at all of those things and we'll go through them with the owner of the business: is your inventory in line with what it ought to be, are you carrying excess; do you have the right kind of systems and processes to grow this business or to multiply it in other ways. That conversation with the business owner helps them get a handle on whether they're ready now or what they need to do in order to be ready to maximise value. When they are ready and we're taking [their business] to market we document all those things and we put together a great diligence package because you know that down the road the buyer is going to want to do due diligence and they're going to want to go through not only the financial diligence but the operational diligence, the market diligence et cetera, so packaging it all up and being ready ensures that the seller is going to maximise what they end up with in their pocket. The other thing we'll do with them is make sure they sit down with a good tax lawyer or a tax accountant because after we've done the valuation we know reasonably well what we're going to get for the business, what's the guy going to keep. Are there structuring changes that we should be making in order to minimise tax and maximise the value in the owner's pocket. GREG: You want to do this about three years before you anticipate selling ... some of the tax issues take at least two years before they are effective; as a result if they don't make them in advance you can't take advantage of them. Quite often we’ll end up with a business owner that owns all the shares of their business. Well, by moving them into a family trust they can multiply that lifetime capital gains tax exemption and end up paying no tax where the alternative may cost them a lot of money. You can remedy some of the situations that may need remedying to make your business more attractive. GREG: Absolutely, and some of them take focused time and sometimes the business owners need help to do this. We're not in the consulting business. I'm not a business coach and none of my staff are; however, we know lots of people who are good at doing this and we’re not hesitant to refer them to help business owners to get ready to sell. NORM: I guess one of the critical things, too, is if you're a business seller you're obviously looking to maximise your gains—you want to make sure you have the right buyer. GREG: We have more than 5,000 buyers who've been through our intake process where we've collected their net worth statement, their financial resources, their work history… we understand their skills, the lifestyle they're looking for et cetera and surprisingly, very much when you're putting the match together it's actually the buyer you're looking at and then looking at your inventory of businesses for sale to try to determine what is just right for this buyer. NORM: It seems to me that you want to make sure that if you're selling your business the buyer’s going to be able to take it over running properly and pay for. GREG: Well our track record there is tremendous. More than 99 percent of the time it has worked out to be a win deal for both buyer and seller and that's a testament to the work of all the people who work with me because this isn’t one person's effort. That kind of track record will eliminate most of the risk in buying a business. We don't want people to make a mistake. NORM: Let's talk about the financing aspect because if you’re in the market to buy a business it must be extraordinarily difficult to try and set up financing. GREG: It is. There's a big mess. You know banks call themselves the small business bank. Well just try asking for a loan to buy a small business and you'll find there are no small business banks. There are a couple of programs, one of which has gotten much better in the last year. Business Development Canada has become more aggressive. They are approving a higher percentage of applicants and they have reduced their interest rates. They used to charge eight to 12 percent; they're now down to five or six percent. Well this has become a worthwhile vehicle for a lot of business buyers and so we're referring more deals to BDC. The other program is the Canada Small Business Loan program. It's got a lot of restrictions— they will lend up to 90 percent of the value of furniture fixtures and equipment providing the cash flow supports it and providing the purchaser has put about 30 percent down and providing it's an asset sale. If you're buying their shares it’s is not eligible and those restrictions are a problem, but there are many situations where we can effectively use the Canada Small Business Loan program. NORM: I guess too that by going through this and trying to maximise the value for the seller you’re also benefiting the buyer here because that reduces the risk they're going to get themselves into something that they may not be able to cope with. GREG: First we're going to make sure they get the right skill set and experience. Then we work really hard at making sure that the lifestyle that goes with owning that business is the lifestyle that the buyer is looking for. Sometimes all of the numbers work out fine, the skill set works out fine, but if the lifestyle is unfit, it is as important as the numbers. If you get that right then you've got a buyer who loves what they do, gets up every morning looking forward to going to work. They're excited and I can tell you on average business revenue increases by 15 to 30 percent the first year after it's been sold and it's not because the buyer knows more; it's because they bring passion, enthusiasm, excitement, and probably some skill sets that the previous owner didn't have. And we make sure there's a training and transition program involved in every transaction so the seller is around to train the buyer on how to run the business. Well the buyer’s got a few additional skill sets and first thing you know the revenues are up. 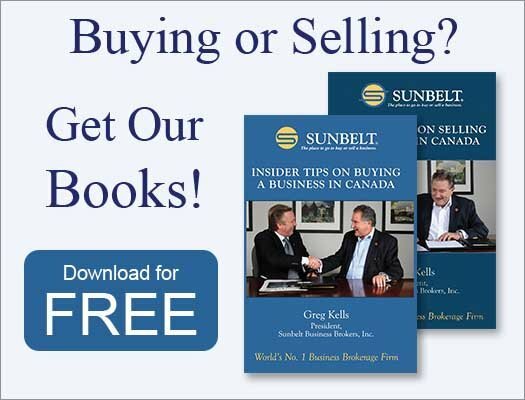 NORM: Lots of information available on the website sunbeltcanada.com or Sunbelt Business Brokers and as GREG mentioned there are two excellent books to download there: Insider Tips on Buying a Business in Canada as well as Insider Tips on Selling a Business in Canada available as a PDF download there. Let’s go into these books a bit here because these contain a ton of information for buyers and sellers. GREG: In first place we want them to make the right choices for themselves and to do that they need to understand what's involved in the whole process. Before I wrote these books I used to have to spend hours educating every buyer and every seller until finally I said, why don’t I write all this down together and make it a free download from our website. It saves a tremendous amount of time. It also means that I get better informed prospects when they call us whether they're buying or selling. Our goal is to have win-win deals every time and that means I really need people to understand what they're doing. NORM: The number one thing is to increase the value of the business, make sure that everything in that business is valued properly so the buyer knows what they're getting and what he or she is going to paying for the business. Let’s talk financial factors first. What needs to be maximised? GREG: The first issue is to get the books clean. Most of the small businesses that we deal with have what I would call discretionary expenditures that the business pays for, and that might be cars for the wife and kids, it might be cellphones for the family, some family travel, life insurance, health insurance, et cetera. We need to clean up the books before we start, remove all of those items and get to the point where we’ve got a nice clean operation to hand over. The other thing is we have to recast the financials in order to identify what the business really makes. You know very often I've got a business showing a small profit and by the time we finish recasting… well I’ll give you an example. We’ve got a little automotive care of business it was showing a $2,000 profit and a $25,000 dollar salary for the owner. By the time we recast the financials that business was making $165,000 a year—a big difference between two thousand and $165,000. I can't sell a business making $2,000 but I can certainly sell one making 165. So cleaning up and recasting their financials is a beginning point and once we've passed through that we're going to look at what's their market— and their market position. I've got a client whose older business they had inherited from the parents who’d been in business almost since I was born and I’m pushing seventy. The business did not have a website, no digital marketing and you couldn't find them. So we built a website for them and put them into digital marketing. Their sales increased by 50 percent within months. So little changes whether it’s in marketing , in systems and process documentation ,whether it's cleaning up the financials, they all add value and enable a business buyer to pay more for the business and the business owner to walk away with more. At the same time you want to start considering the tax issues because once we've done the most probable selling price report, we want to sit down with the owner and a tax adviser and make sure that we take advantage of the structuring options that are available so that they can minimise the tax they're going to pay when they sell the business. I've had occasions… when I started out 15 years ago I lost a deal because I didn't know how to get a large chunk of cash out of a company without paying a lot of tax on it. Well we now have RCA’s—retirement compensation arrangements—individual pension programs, there are so many ways that you can do things now that would enable and had I known it back then of course I would have been a bigger help to that seller. But as it was we didn't sell the business because he couldn't figure out how to get the money out. Today I’ve got the right advisers; we can get the money out of that company. Not a tax elimination but on a deferred tax basis so that it's really going to dramatically reduce what he's going to pay. So that tax structuring becomes an important component in the process. NORM: Let's talk a bit about financing because it must be tough I mean if it's tough enough for buyers to access finances it must be tough on the sellers to wonder where their potential buyer’s going to get the money from. GREG: It is. In most cases we insist that the seller fund some part of the transaction—typically maybe 20 per cent of the transaction up there behind a bank and as much as 50 percent if there is no other financing involved. So it's not like they're making a minor wager —they're betting everything. Quite often they're using a home equity loan for their down payment. So you end up with the situation where the seller, if they ever did have to take the business back, knows how to run it. The bank doesn't know how to run it. The assets of the business are worth nothing to the bank but they’ve got real value to the seller; if they take it back it's not a problem— they're running it for a little while we resell it to another buyer. I've never actually had to do that, but certainly that possibility exists as security for the seller. NORM: It's one of those things that you have to look at on faith many times, and that seems to me the key about Sunbelt Business Broker’s involvement. You can determine whether the buyer really has what it takes in terms of finances, in terms of training and more in terms of personal determination and interest, to tell the seller yeah this is the fit for you. GREG: Right and on top of that when the seller does finance, they're increasing the value of their business. Generate enough money to live, enough money to do the debt servicing to pay for the business over a reasonable time and a return on their invested capital. The seller facilitating financing gives the buyer a lot of confidence that the buyer is the right choice and will be successful, and he's increasing the value of this business. NORM: Let's take a look at some of the organisational and operational situations you face if I'm a small business owner in the audience today and I'm sitting there listening to you and I talking. What is the biggest or the biggest problems or issues that you face in trying to make sure that sellers maximise the value of their business in terms of operation and organisation. GREG: The biggest issue— the seller has the business in his head. When the seller’s not there the business does not prosper. They don't have good systems, processes; they don't delegate effectively; they don't document the responsibilities of each one of the folks who work in the business. You know that works fine as long as the seller’s there and the business stays small. As the business grows that becomes impossible and when we're removing the seller—he's selling the business—that means there's so much to teach the buyer. So, we work with the seller to make sure they do a better job of delegation and putting in place systems that run the business. Typically you want the systems to run the business and the people to run the systems. And you want the seller not to be necessary for their regular operations. It’s fine if they have to deal with exceptions but getting to the point where it's only the exceptions they have to deal with, that adds huge value to the business. If the business owner can go away on a month’s holidays and the business doesn't fall apart he's probably got pretty good systems in place. Well a month means there are some systems. And if he can do it for six months, then I know he has really good system in place. NORM: Let's talk about the buyer side now because, of course, to have a seller succeed you need a buyer to buy. What are some of the top things that people should be looking at in terms of what they need if they're going to buy a small or medium-sized business? GREG: The first issue is they need to do a realistic self-assessment of their own skills and attitudes, their risk tolerance, and I'll tell you that varies tremendously. I’ve got some folks in there and I can't move fast enough to get a deal together for them because you know they want to charge ahead. And then I get people in who are going to take forever and want to analyze everything to death because they're really afraid to take risks. So you have to assess your own skills, your abilities, your risk tolerance. Once you've been through that, look at the lifestyle. Probably where you want to live, are you willing to work long hours, do you want to be a partly absentee owner—which is not impossible—or are you going to have a whole family working in a business, which happens fairly often as well. So you’ve got to assess the lifestyle issues and where you want to live, then you want to look at what would be fun and I’ve got to tell you this has to be the biggest driver. Whatever you buy, it has to be a lot of fun. We've got to get up every morning looking forward to going to work. I know that as a business owner not everything you do is fun but certainly it has to be the vast majority, and so you have to look at what parts of life you would enjoy. Some people like sitting at a computer and working by themselves most of the day; others can't stand that, they want the interaction of working with people and providing customer service et cetera , so you’ve got to analyze yourself. Then we'll help you look at the right business based on what you think you'll enjoy; we’ll match up with those and we'll try to make sure that business is what you are going to have a good time doing and be successful with afterwards. The success rate’s high because of the matching; however, you’ve got to start with self-assessment. The next issue confidentiality—it is so important. You see in all the businesses that we’re selling the staff don't know, the customers don't know, other business owners don't know. So we insist that every one of the buyers signs a non-disclosure agreement and we enforce it. I scare the pants off them because I tell them if you breach this, if you divulge what businesses are for sale, we're going to sue you. And I mean it. So they have to respect the confidentiality. Typically then once we've narrowed it down to a few businesses that look like the right fit--we would typically have a hundred businesses for sale at any given time in Ottawa-- I'll have them go and visit two or three that I think are the right fit. And they'll be mystery shoppers; they’ll go there and be a customer to experience whatever the business does. After they've done that, we’ll sit down again, we’ll look at which one did you like best and why and which one did you not like and why. That'll help narrow things for us. Then we’ll get it down to which is the best choice and we’ll meet with the business owner typically after hours when staff aren’t in the business. At that point I've already presented the buyer with a very detailed history and financial package on the business, so they know what it does, how it does it, what the history of the business is, and they're ready with a lot of questions for the owner. During that meeting we see what the chemistry is like, because these two have to be friends after we do this deal. The seller’s staying around to teach the buyer how to run the business; the owner has to have confidence in the buyer or they're not going to lend them any money. The buyer has to have trust in the seller or they're never going to believe what they're looking at. So that chemistry becomes an important part of the process; if the chemistry is right we’ll help the buyer to draft an offer. It's usually a totally non-binding offer, like a statement of interest to say: based on what I've seen, I think this is what I'm prepared to do. We'll negotiate and we manage that because if they negotiate directly they won't be friends afterwards. We manage the negotiation and get them to an accepted offer at which point the whole due diligence process starts. And at that point we will involve a financial person to help the buyer with assessing all of the financials; we will go through all of the various types of diligence. If we get through that all right, then we will recommend to the buyer an appropriate lawyer who's actually going to draft the offer, the agreement on behalf of the buyer. We would have already recommended a lawyer to the seller and so the two lawyers will work on the deal and we will oversee that and mediate because we know the thinking of both parties. The lawyer for the seller’s not allowed to talk to the buyer; the lawyer for the buyer is not allowed… they don't know what the other side's thinking. We do. So we make sure that the documentation represents the meeting of the minds. NORM: I guess, too, one of the key things about working with Sunbelt Business Brokerages you do have all of these experts on your team to be able to help with things like taxes, the lawyer aspect, the legal aspects of things and financing—all of that is available through the team members of Sunbelt Business Brokers. GREG: We actually sell more businesses than I think everyone else put together, and so with a high volume of transactions, we work with many professionals and some of them are great. Some of them are not really suited to what we do. Sometimes we’ll get the real estate lawyer who's really good at real estate but this business transaction is not his forte and I've got others who are great doing the business but do not touch a real estate transaction. So getting the right specialist who knows what they're doing working for both parties is important. NORM: I guess too, and we're just coming to the end here, but I wanted to emphasise the importance of the people in the business, too— that has a quantifiable benefit to the buyer and seller. GREG: Well the people – the number one asset of every business is the people. That's what makes it work. I mentioned the businesses should be run by systems and the systems are run by people and the better people you have, the better business you have. It's that straightforward. And so we make sure that the people are happy with the new owner, the conditions stay as good as or better, and that they stay, because you cannot afford to lose the staff. Looking to buy the right business for the right price and terms? Looking to get the most for your business when you sell? 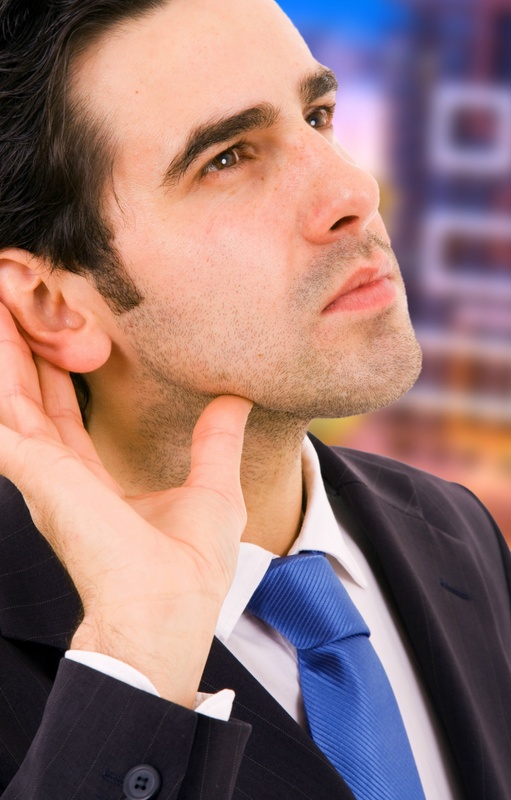 Request a no-charge confidential consultation at an office near you.